Where should I export - the answer is here! It's a question I'm usually asked by exporters whenever I meet them: 'Where should I export?' Unable to get a suitable answer, most exporters are left to export to countries that all others do - the traditional markets of US and Europe which are still to recover fully. This has led to increasing frustrations amongst exporters who, despite their best efforts, are unable to find buyers. I would, therefore, like to dwell upon three schemes wherein you can not only easily find buyers, but also can get incentives for exporting to these countries. The government has identified non-traditional export markets under the Focus Market Scheme (FMS), Focus Product Scheme (FPS) and Market Linked Focus Product Scheme (MLFPS). Under the FMS in the Foreign Trade Policy, 52 African countries, 31 Latin American countries, 10 Commonwealth of Independent States-Central African Republics, 5 East European countries, 11 Asia-Oceania block countries and one Asian country have been notified for benefit on exports of all products. Exporting to these countries will mean getting an incentive of 3 percent. An incentive of 2 percent can be availed under FPS. The good news is that today products from categories like engineering, plastic and electronics have also been brought under its purview. Meanwhile, under MLFPS, incentives are given for exporting to markets in Africa, Middle East Asia, East Asia, Latin America, Central Asia such as Algeria, Egypt, Kenya, Nigeria, South Africa, Tanzania, Brazil, Mexico, Ukraine, Cambodia, Vietnam, Qatar, Singapore, Bahrain, Kuwait, Bangladesh, Philippines, Saudi Arabia, Iran, Korea PR, Japan and China. This scheme also includes products like pharmaceuticals, textile fabrics, rubber products, glass products, auto components, motor cars, bicycle and its parts, etc. And what's more...it requires filling only a common simplified application form for taking benefits under these schemes, meaning lesser hassles for exporters. So what are we waiting for? IF WE EXPORT RICE TO THE COUNTRIES WHICH ARE COVERING UNDER FOCUS MARKET SCHEME, SO SHOULD WE GET 3% INCENTIVE ON FOB OF OUR SHIPMENT? Where can i get more info on FMS & FPS? Greeting, I am from West Bengal and the state has two discricts namely Murshidabad and Malda for producing a very good quality of mangos. I want to know more info abt this export business including other mango food producys likee jelly,piclel,mango pulp etc. Please guide me where in Gulf countries I can find potential buyers for peanuts or where shud I export peanuts from india. sunil bhojane HIT Enterprises suniel@hitenterprises.com 91 9820709110. Exporting Engineering, pharmaceuticals, Food products, IT Software etc. Subject : Re: Exporting Engineering, pharmaceuticals, Food products, IT Software etc. were to EXPORT GEARS .. Please tell me were to export gear parts from INDIA. Subject : Re: were to EXPORT GEARS .. Thank you for the precious informtion; Kindly let us know the various tieups with these countries and about their business behaviour, practices. what kind of precautions we should take while shipping goods as in African countries extra care is required and we should export only against confirmed L/C and not against D/P, L/C. Kindly let's know how we can gather valuable information regarding govt. export incentives to these various countries at one stop (to calculate our costings and margins)as it is quite difficult to gather information from buyers itself. Exporting to latin america or African countries, shall we participate any exhibition or mktg thru net in these countries? I have IEC but till date I haven't been able to export, because I want to cater to small customers first and then move to large orders. Plz. tell me more about FPS, FMS & MLFPS scheme and where register for the same. Regards. I would like to know whether the Governement gives incentives for exporting to some special countries, if yes pls clarify. Secondly i would also like to know, which are the items which government gives incentives for exporting? Where do I get myself registered for taking benefits under these schemes, please let me know. WE HAD A VERY BAD EXPERIENCE NO INDIAN BANK IS ABLE TO EVEN EARNEST MONEY BANK GUARANTIES IN THESE COUNTRIES. WE LOST OPPORTUNITY WORTH 1.5 MILLION DOLLAR ORDER,THE STATE BANK OF INDIA REFUSED TO OPEN THE BANK GUARANTY. NOT ONLY THIS THERE IS HARDLY ANY WAY THE MONEY CAN BE TRANSFERRED FROM IRAN.BANKS HAVE PROBLEMS WITH LC'S. HOW DO BUSINESS? We are manufacturers/wholesalers of Indian handmade handicraft items and we have never exported directly. What are the procedures for first time export of our products to UK/ USA and what type of registration is required? Can you give the detailed list of the products you manufacture? please let me clear what is artificial jewel.is it immitiation jewel. Subject : Re: what is artificial jewel? It made interesting reading where should I export? pls. expdite which form is to be filled to export to the countries mention in this article. Subject : Re: where should I export? OUR IS THE SAME QUESTION FOR FIRST TIME EXPORT OF INDIAN HANDMADE HANDICRAFTS ITEMS TO UK/USA ON SMALL SCALE BASIS.PL CLARIFY ALL THE DETAILS INCLUDING REGISTRATION WHERE AND HOW TO START WITH. Check out www.uibusiness.com, a firm that specializes in promoting trade between India and the US. They have people in both countries and can guide you through the entire process. what is your product, which you wish to export? I went to export office for applying for a license. The person there told me to come with Rs 10,000 first. This is for bribe. Can I export without license ? You can apply for IEC - Import Export Code online also through website of DGFT. There is no need to give any bribe even if you apply offline. I am interested to know the procedure for exporting Ready to Wear Garments to US and how can I get permanent foreign buyers. Many thanks for your Editorial. This is a good opportunity to export to America and the rest of the world. I appreciate your incentive. Looking forward for your response. Has imitation and artificial jewellery included in these schemes? Where do u find the simplified form? Pl refer your editorial in this issue incentive can be claimed only against only one scheme as per para 3.17.8 of Foreign Trade Policy. Pl clearify. I am interested to know the proceedure for exporting fruit juices to Egypt. Where do I get more information, on the various schemes, the buyers in those countries, available to exporters as per this write-up? I customize Embroidered textile Handicrafts. Subject : Re: Where should I export - the answer is here! Re: Where should I export - the answer is here! I am the manufacturer of Herbal cosmetics.Our products are having high herbal value and having good quality. In culcatta and Pondicherry it is moving well. I want to export these products in worldwide and contact many buyers in many countries.But they didnot answer my e-mail.So What shoud I do? Many people asks sample for me.I am also sending these people also did not give any answer tome. I do not know whether the samples received by them or not.So kindly give your suggession to me. Subject : Re: Re: Where should I export - the answer is here! We are the manufacture of saree,dress materials,shirting,furnishing,suiting,nylon based, polyester based fabric in Surat. We are interested in exporting our product at the country mention above but don't know how to export. So pls help us to start export. you can approach powerloom /development export promotion council Mumbai. This is central government organisation They can help you. Throughout my active career I was a business person but never an exporter or importer. I am a POI setteld in US. Govt. incentive is alright but for small Scale firms this should NOT be the main focus. Substantial amount of money are to be risked for making the initial contact and getting used to a new enviornment.Unperdictable political situation presents more risk, the judiciary system even in normal situation is questainable. Maintaining a skeleton staff near the buyer is imperative in many situations. Most exporters in India that I know have at least a helpful nephew in London or New York.At least they can visit them if they are hospitalized while in buyer's country. I do not know how many exporters have a nephew (helpful or not) in Ghana. One size does not fit all. This article at the begining should have made it clear writer's own assemement of the type of entity who can resonably benifit . Business is inherently risky. Howver the logic given for exploring new market is an open invitaion to gamble. Few people always get rich through gambling however I refuse to call suggested methodology to be a business venture even for midsized business. These days Big boys do not do business, they gamble, with or without intent of coverting their black money in a cuurency accpetable to Swiss Bank. Thank you for listening. I would like to export artificial jewelery would you please let me know about incentives, and also suggest the countries. Thanks. This is really a highly valuable information. This editorial stands true to your reputation. My congratulations. 1)Sir,what is the procedure of form filling? 2)I am into jewellery manufacturing.Please let me know the most potential areas(countries) for jewellery export. You can export to Europe particularly London. The world is a big market but what many exporters in India do not understand that this is not a one time business but long term. They have to rectify their mistakes if mistakes have been made. Customers are hard to come by and once they have a client they should take care to keep them. Our expierience with Indian Suppliers has been very unsatisfactory. When they want the orders they will call you on the telephone, send you various emails, and once there is any problem they will just ignore you in other words you are a hot potato to them. Chinese exporters too make mistakes and when there is any problem they try to rectify and business carries on for a number of years. But Indian exporters ( I mean not all but most of them) want to do one time business. Dear Mr. Larry Dayal, I do not agree with your observation about the Indian exporters. Once you think about the import from India , your first though would be HOW MUCH CHEAP PRICE YOU WOULD GET FROM THE INDIAN EXPORTERS COMPARING TO OTHER COUNTRIES. We always try to export as per the specifications given by the importers. But many times importers because of the import policy of their countries ask us to compromise the standard what actually wanted initially. Once the imported goods could not get the market in their countries because of the standard compromise they blame the exporters and claim compensation from the exporters for their committed mistakes. I got very very bad experiences from the Chinese suppliers and many of our importers lost their money and market. Making mistakes are human nature. Coin has two sides. Do not see only one side of the coin and try to find the other side also and rectify the unwarranted mistakes. We are the most valuable competitors to Chinese today. ARE YOU AWARE CHINESE ARE CHEATS. AT LEAST FIVE COMPANIES FROM PUNE;WE KNOW HAVE BEEN CHEATED AND ONCE THEY CHEAT THEY TAKE SHELTER BEHIND LANGUAGE BARRIER. We are manufacturing power presses in C frame & H frames from 5tons to 250 tons capacity. could you please guide us to approach the countries where our product is being exported from India. 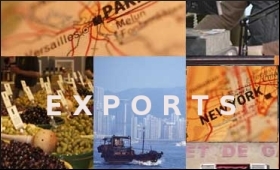 You can approach export promotion council at Bangalore. we are an electrical wholesale company in south africa. we import lighting products from china for several years. we have been trying to contact companies in india on several occasions but companies either do not respond to enquiries or when they do they are not flexible to the needs of our market. indian companies need to be more agressive in marketing their products and learn from their chinese counterparts on how to lure clients, meet their needs and land the sale. most people when they think of Zimbabwe think of a poverty stricken country. well the opposite is true and Zimbabweans as a people have money but the country is poor so for the exporter looking that way and should you need help identifying inroads to Zimbabwe drop a line we will help , we are a Zimbabwean based company . Dear Mr. Phillip.C.Frankis , I appreciate your anguish about the exporters first thought of your country's present position. This is because of your governments trade policy. All goods are under import license system and the foreign exchanges for the payment shall be earmarked as per the import license allotment by your central banks' policy. Being the nature of the business, ie, export from one country to other needy country depends mainly on payment systems. If you have money plenty whether your government allows you to exchange your money in your trade with other countries and that also what is the limit of exchange provided by the policy makers.If you are comfortable with your government's policy and you are in Export & Import business write to me. All the facts about your country's present Import policy. I will suggest what you have to do. I am 68 years old man once visited your country when I was working in Kenya and conducted Exhibition in Bulawayo in the year 1987. I am an Export & Import consultant for the past 35 years and hope I can help you. CAN WE EXPORT READY MADE GARMENTS TO ZIMBABWE .. WHAT IS THE PROCEDURE. 'm starting a business of exporting silver jewelry. I would appreciate if you can kindly guide me the new and the right market for the silver jewelry. may we know chapter wise details of the incentives available to exporters. Or else guide us from where to find all the incentives available. I have been exporting since last many years to several countries and was not aware that I can claim any incentive. This year too we have exported about 20% of our turnover. How can I claim them now and in future where do I get the common simplified application form for taking benefits under these schemes. Can you please provide some information regarding Rice Export? We are a beginner exporter of Indian spices like black pepper, green cardamom, tamarind, etc. and also handmade incense sticks. Please guide us what is the rate of incentive available for exporting to these FMS, MLFPS countries. Because, keeping in mind the incentive given by Govt. of India, we can quote better competitive (with very low profit margin or even without margin) to penetrate these FMS/MLFPS markets. Please guide us! Thanks, S. Saravanan Magee Exports Dindigul, Tamil Nadu. Thanks for the latest export updates, can you kindly elaborate on the 5 eastern European countries which you have discussed in third paragraph. India has the tremendous challenge to fill the vacuum of products imported from Japan into the US and Latin American markets. We already hear Toyotas, Hondas, Ipods and dozens of other products, for which components are made in japan, will be is short supply and will become more expensive in the months to come. If you are almost ready to export your products and compete with Japanese products, this is the time but you have a very short window of opportunity. Not only Automobile, spare parts and services too. It seems that language barrier (Spanish) deters Indian exporters.This should not developing business in Latin and Central America. Does exporting to Bangladesh includes all items or are there any specific items?